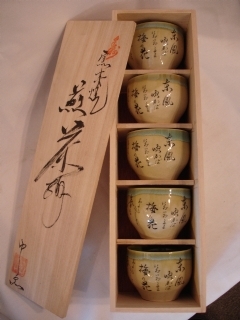 Lovely wood box set of five tea cups. Great for any occassion gift giving. The writing depicts a spring poem. Cup size: 2.5" high with 3" diameter. 5 cups for $65.00.